Join the Global CemBoards Linked In group. 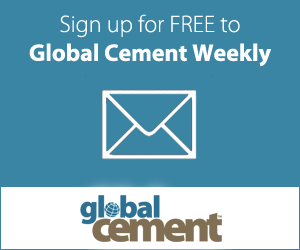 The fourth Global CemBoards Conference and Exhibition will take place in January 2020, looking at global market trends in cement-based boards and panel systems, at the latest advances in production technology and at how producers can add value to their products worldwide. In addition to equipping delegates with the latest information, news and developments, the networking opportunities will once again be excellent. 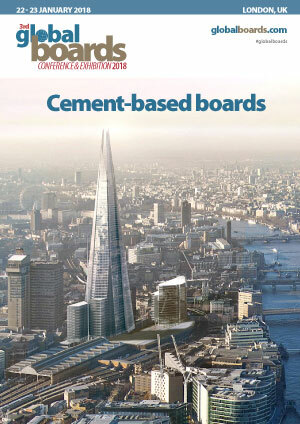 After the success of the first three Global CemBoards events in London in January 2014, 2016 and 2018, the organisers will repeat the event in Germany and expect to attract even more participants from the global cement-based boards industries. Delegates from over 25 countries are expected to attend the 4th Global CemBoards meeting. We look forward to welcoming you to the 4th Global CemBoards Conference! The conference early-bird registration fee is £595 until 31 May 2019 and the normal rate is £695 from 1 June 2019 until 15 November 2019. The conference late-rate registration fee is £795 from 16 November. Board producers benefit from a £100 discount on these rates. Confirmed speakers register for £295, while confirmed board-producer-speakers register free. The conference social evening is bookable separately at a rate of £95. Prices are exclusive of any applicable VAT. The 3rd Global Boards Conference has successfully taken place in London, with delegates from 23 countries in attendance. Above: 'speed-dating' underway at the Global Boards Conference 2018 in London. Conference was a good introduction for someone new to the industry and a great opportunity to meet key players. My favourite things were the speed dating, the good presentations and the evening in the pub! "Good conference, nice topics, vivid discussions, great location with great food, very disciplined, perfect organization." "Very good organisation - thank you!"